At PennLive.com they did some quick record checks and found these fun facts about the money behind this year's governor's race in PA. You'll never guess who's bankrolling Scott Wagner. (Incidentally, you don't have to guess-- you can play along at home by digging the finance reports out at the PA campaign finance records website). One interesting factoid is the numbers-- Governor Tom Wolf has almost 27,000 separate contributors to his race. 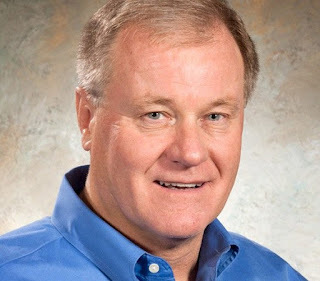 GOP's Scott Wagner has 5,900 contributors. Wolf's contributors ran from $1 to $500,000. Wagner's run from (weirdly) $2 up to $1,000,000. Wolf totaled up $29.8 million, while Wagner collected a mere $14.4 million. Wagner has kicked in $5 million of his own money and borrowed another $6 million. But here's one more thing to take note of. Wagner's biggest donor not named Wagner is Students First PAC, which kicked in $1,000,000. The name "Student First" might ring a bell; that group was founded almost a decade ago by Michele Rhee (former chancellor of DC schools and builder of the foundation of years of scandals in that district). That group has long been busy in PA, trying to do away with all employment protections for teachers, pushing the Common Core, and trying yet again to make teachers easily fireable. So it would be quite something if Wagner was backed to the tune of a million dollars by that infamous group. But he's not. In many ways, the truth is even worse. It is easy to get tangled up in this (reporter Jan Murphy got thrown, too). But StudentsFirst is one group, and Students First PA is another group entirely. Rhee's group, except for a NY affiliate, has gone dark, its web address silent, though it still has a facebook page, sort of. (In 2016, it was reportedly going to be absorbed into the 50CAN network). But all that's a story for another day. No, the Students First PAC is associated with Students First PA. It launched in 2010 and got at least part of an opening stake from three Philly businessmen who founded Susquehana International. But it had one other deep pocketed sponsor-- The DeVos Family. They are left over from a time, almost a decade ago, when DeVos was spanked by the courts for illegally funneling money into some state races, and so the American Federation of Students was born, a newer, better way to funnel money into races. This group proudly wears its AFC affiliation on its masthead, where the group repeats the usual reformster talking points. Only fitting, because the ALEC-linked AFC has long pushed the DeVosian agenda of vouchers and busting teacher unions. The group is headed by Joe Watkins, a Philadelphia-based GOP media analyst (look for him on MSNBC). They have set out to be political players in the state before, most notably with a $3.65 million contribution to pro-voucher Democrat Anthony Williams for his failed run at the governor's office in 2010. Watkins was also named the chief recovery officer of the Chester Uplands PA school district, the district that may be the most damaged-by-charters district in the country (it didn't go super-well). And he's been a White House aide, including a stint working for Dan Quayle. According to OpenSecret.org, the PAC has also contributed to something called the Education Opportunity PAC, a mystery group that has contributed to folks like PA GOP House leader Mike Turzai. OpenSecrets also turned up at least one listing for "Students First PAC, American Federation for Chhildren" listed at a Wynnewod address. Wynnewood is/was also home to the "Students First Corp" a non-profit. And then there's the abortive attempt to trademark the name in 2010. All of which is beside the point. Scott Wagner received a buttload of money back in July from a group that has been all about vouchers, all about breaking teachers' unions, all about pushing the agenda of its patrons, the DeVos family. If you needed one more reason to vote against him, and you care about education, this should do it.